STOP BY OUR SHOWROOM IN KETTERING. 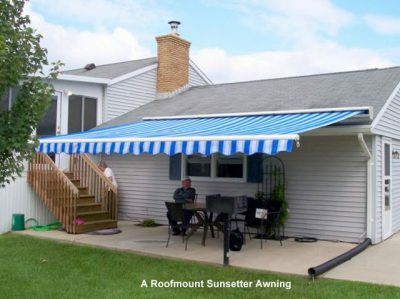 WE HAVE A FULLY FUNCTIONAL LIFESTYLE SCREEN AND SUNSETTER AWNING INSTALLED. HIGHFIELD DOOR SALES IS THE MIAMI VALLEY’S LEADING DISTRIBUTER OF LIFESTYLE SCREENS. We offer Lifestyle Screens for both Commercial and Residential Applications. Turn your garage into a man cave, part room, screened-in porch, or work shop. Lifestyle’s spring loaded counter-balance system makes it effortless to open and close the screen and eliminates the headache of an electric opener. The 2″ x 2″ Architectural Grade Aluminum provide superior strength and life. 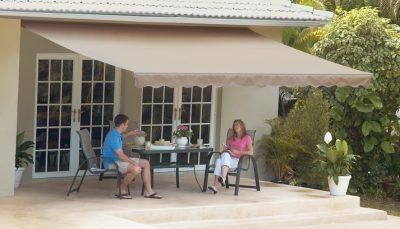 When in use, the Lifestyle screen occupies the same position as your solid garage door. No loss of height or width. No other garage screen offers Lifestyle’s broad range of features.